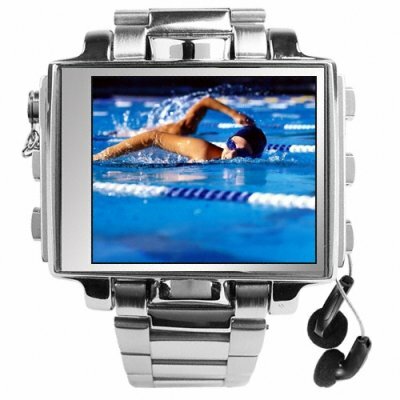 Successfully Added Ultimate Style 1GB Steel MP4 Player Watch - 1.8 Inch Screen to your Shopping Cart. Steel MP3 + MP4 Player Watch. In our effort to always bring you the latest and greatest new electronic gadgets, we now brings you this 1GB MP4 Watch with Full Color 1.8 Inch Screen and made completely from steel for the ultimate in style and coolness.